Visually brilliant, but it lacks the substance required for a movie of its kind. ...A cheerful Perfect Blue gets interviewed by Tokyo Godfathers. This movie certainly had a lot of potential. A big name director (Satoshi Kon, who previously directed Perfect Blue and went on to direct Tokyo Godfathers), a high budget, and a unique style not normally found in anime. Unfortunately, the film never goes far beyond being merely potential. Its story is woefully simplistic and nowhere nearly interesting as it needed to be for a historical style drama. Several other key flaws also hinder the movie's unique style, leaving us with a very mediocre film that really could have been a lot better. Millennium Actress sets out to tell the story of Chiyoko's search for the mysterious man she met as a teenager and return to him his sacred key. It does some of this with typical movie flashbacks, but much of her story is told through a series of various film roles, ranging from Samurai action to Space Drama. This was an interesting concept and really could have worked well. Explaining historical events with unique styles has worked in other movies. The anime "Secret of the Twilight Gemini" used flashbacks in the style of a 1920s silent movie to explain historical events, and it worked out brilliantly. Unfortunately it doesn't work here. In fact, this is the movie's biggest failure. For starters, the story's main premise is hardly plausible. When Chiyoko first meets the mysterious artist, she spends about 5 minutes with him (that is all the movie shows anyway) and exchanges maybe a few sentences of dialog before they part ways. And yet the film wants us to believe this event makes them lovers torn apart by tragic fate! Rather then make me wonder if they would ever meet again, the whole concept made me wonder what the big deal is. 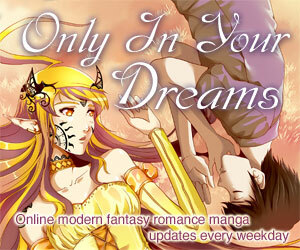 Chiyoko goes on to have an extremely successful life, both professionally and personally. Why the meeting with the artist as a teenager became anything more then a distant memory is never explained, nor is the significance of the key he gives her. The series of various film styles used to tell Chiyoko's story doesn't help much either. First of all, the pacing is way off. Some of the styles last for only a few seconds and then immediately throw us into a different one. One scene shows a bandit attack on a train in 1930s Japan-occupied Manchuria, but then immediately dumps us into a battle in 16th century Japan. The switch is so sudden that even Tachibana's assistant asks what the heck is going on, and the movie makes no attempt to provide an explanation. Sometimes there are smooth transitions between the historical settings and film styles, but far too often is feels like the director is violently throwing us from one time period into the next before we can even grasp the significance of the previous one. Another problem is that the various movie roles shown throughout the film usually don't reveal anything new about the plot. Mostly they just consist of Chiyoko doing the exact same thing (searching for her mystery man) in a different time setting and/or location over and over again. There are a few interesting twists and turns along the way, but they almost always lead to dead ends. Basically the final result is always that the mystery artist isn't where Chiyoko is searching, she must try somewhere else, and she resolves never to give up. That concept by itself really isn't that interesting or original, and stating it over and over throughout the movie using different film styles doesn't make it better. Tachibana also takes an active role in many of the flashbacks, but just as with Chiyoko's role, he mostly does the same thing over and over again (bail her out of trouble). Rather then come off as an original concept, the film's use of movie style flashbacks came off as an elaborate deception to make the story look a lot more interesting then it really is. Despite Millennium Actress' flaws, the film is not a complete failure. For one thing, the animation is outstanding. All of the various settings are wonderfully detailed and well drawn. The characters and vehicles also look exceptional. Millennium Actress' soundtrack is also pretty impressive. All of the music in film fits each setting perfectly well and really contributes to the atmosphere of the show. While the story is amazingly simplistic, it does have its moments. Chiyoko's story of her film career and search for the artist does get entertaining at times, and has a bit of an epic saga feel to it. If Kon had put some more effort into making a better story with a believable premise and a plot that significantly advances and changes with each historical setting used in the flashbacks, I think this really could have been one of the best anime movies ever made. Unfortunately was not the case. Instead, the film mainly shows us the same thing over and over again in different settings, while failing to provide a believable story or explain any of it's most important concepts (like why Chiyoko spent her whole life pursuing someone she barely knew, and the significance of his key). What a shame. Kon's unique style and presentation was an interesting idea, but it never develops into anything more. 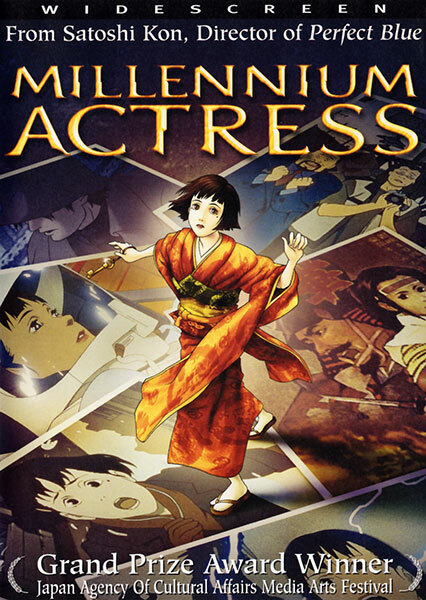 Millennium Actress is Copyright © 2001 Millennium Actress Production Committee. English Version 2003 DreamWorks, LLC Any images are the property of their respective rightsholders, and included for review purposes only under the fair-use clause of US copyright law.